A magazine editor for regional publisher Northcliffe Media is leaving after three years to start his own media company. Wyn Jenkins, left, will leave his role as editor of Swansea Life and Swansea Business Life, which are published as part of Northcliffe’s South West Wales Media business unit. He joined the publisher in 2009 when it acquired the two titles but will now leave to start his own business, Seren Global Media, which will be involved in producing Swansea Business Life next year. As a result of Wyn’s departure, Peter Slee, who is currently features editor of the South Wales Evening Post, will become editor of Swansea Life and Lisa Evans will be promoted to deputy editor. An internal announcement about his departure said: “Wyn Jenkins, editor of SWWMedia magazines, has decided to leave to start his own company – Seren Global Media. 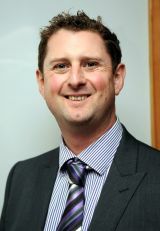 “Wyn joined SWWMedia in 2009 when we acquired Swansea Life and Swansea Business Life. He came to the business with much enthusiasm and his skills in dealing with external organisations and commercial initiatives have been second to none. “As much as we are disappointed for SWWMedia, we are delighted for Wyn. We are confident his business will be a resounding success. I used to work with Wyn when he was at Euromoney. Great journalist and good guy. Sure it will work out.